Today, MTRA resides on 30 acres situated on the Florida Greenway and Trails in a beautiful facility constructed in 2008 with the proceeds of a Community Development Block Grant. 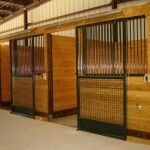 This facility is home to our resident Barn Manager, houses our main administrative offices and our classroom. It is frequently the host location to many fundraising and awareness events, such as the Ann Romney visit in June of 2012, the 2013 MTRA Charity Auction and PATH workshops and certifications. The original Hillcrest facility is still maintained by MTRA and instructs their very special needs students two to three days per week during the school year. 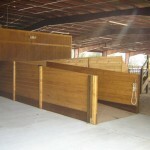 With its ideal Ocala location in the heart of Florida’s horse country, MTRA is able to draw from a community teaming with individuals well versed in equine-related activities. That, coupled with a hard working staff, devoted volunteers and the support of a generous community, has enabled MTRA to become one of PATH International’s Premier Accredited Centers. 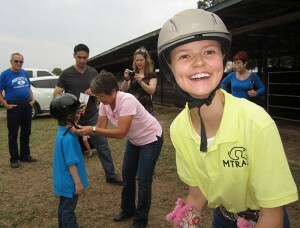 MTRA is also a PATH International mentoring facility, where individuals can learn to become a therapeutic riding instructor under the guidance of our highly professional staff and prepare for the final certification testing by PATH International’s duly appointed faculty in a wide range of equine-assisted courses and workshops. MTRA is also a host site for PATH International therapeutic riding instructor workshops and certifications, as well as workshops and skills testing for Equine Specialists in Mental Health and Learning. Today, MTRA continues the foundation of excellence begun in 1983 and is firmly dedicated to improving the quality of life of its clients by fostering programs that enhance their physical, emotional and mental well being. MTRA is home to more than 75 clients from five counties and over 100 active volunteers participating in the program at both locations.